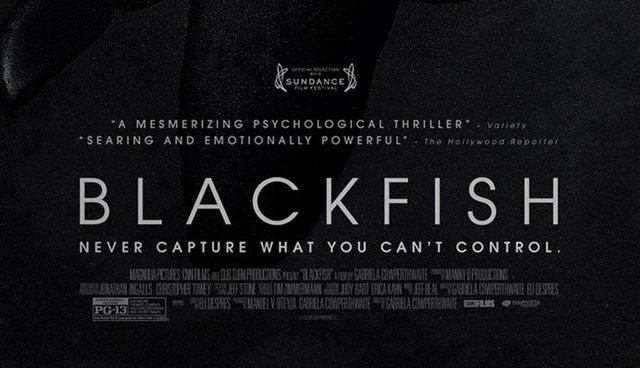 By now, nearly the entire world has heard about the insanely honest documentary called Blackfish that debuted on Netflix in 2013. The documentary examines the animal captivity industry that, sadly for many animals, flourishes today. While I believe some animals aren't exactly hindered by captivity, I also believe an increasing number are being hurt daily by such barriers. For example, in this documentary, the focus is put on killer whales. Constantly, science is churning out new research regarding many of the animals we think we knew everything about. One day we find out monkeys use tools like us and the next day we find out dolphins can teach each other new concepts. There's always a new, amazing discovery. It's truly awe-inspiring that all these creatures have developed so many useful traits to help them thrive. Sure, humans can probably do more than all of the other animals, but does that mean that we have a right to ensure other animals never get a chance to do the same? No, I don't mean we should encourage lions to rise up and fight against us for territory or that chimpanzees should test on us instead. Instead, I believe that in a perfect world, everyone coexists. One of my favorite quotes is "live and let live." Nature has been here way before we began civilization. We don't have the right to constrain huge, beautiful and intelligent creatures just because we believe we're above them all. In a food-chain sense, perhaps we are. That is the natural order of things. However, we need to stop pointlessly capturing, killing and destroying animals and their ecosystems for our superficial benefit. At this rate, our beautiful planet will be demolished much quicker than naturally intended. That being said, Blackfish discusses how SeaWorld strips ocean-dwelling orca pods of their family members to plop them in their tanks to do shows. Unfortunately, but expectedly, SeaWorld isn't the only offender. The whole capture-and-train industry does the same. It's a very lucrative business for the companies involved. I mean what can be better than getting free "inventory" and turning that free item into profit? It provides a pretty ridiculous turnaround. But there's a problem. Orcas don't belong in tanks. Neither does any animal, really. Most specifically, the higher intelligence animals have the most trouble with captivity. They need enrichment. They need to exercise. They need to have a life. And captivity can't provide one. Not usually, anyway. It is imperative that, as a society, we recognize the intelligence of these captive animals and understand the true effect the stress of doing pointless "talent shows" can have on a being. Now, don't get me wrong. I am not fully against captivity. In fact, I entire dream job revolves around a similar idea. Just on the other end of the spectrum. I'd like to open and run a wildlife refuge for endangered species. Those types of facilities attract a lot of attention mostly in the form of visitors. And I have no problem with that. In my opinion, it's okay for an animal to be in captivity if they cannot survive in the wild whether because of an illness or because its population is dwindling. To me, that makes sense. I just think we need to be more compassionate and smart about it in general. For example, elephants need acres upon acres of space to roam, but otters, for example, don't need nearly as much space to be happy. Things just have to be proportional. At this point, I think I'm beginning to get off-topic. Blackfish does an amazing job at highlighting the various negative facets of the animal captivity industry. I highly recommend everyone get onto Netflix as soon as possible and watch that film. You will probably cry, but you'll also smile and perhaps gain a stronger appreciation of these intelligent animals we share the Earth with. Isn't it finally time these animals have our attention?